First came the cheap recording equipment, which turned everybody into a bedroom recording artist. Then the web arrived, turning all these bedroom recording artists into bedroom recording labels, able to flog records (in theory at least) to a massive global audience. Now, many artists are great at making music in their bedrooms, but not so savvy when it comes to selling it from them, so in this post I’m going to outline how you can build a really good online store that makes it easy for people to purchase your wares – and ensure that people can find them. Let’s start with building your store: there are three main approaches you can take, with various pros and cons – so let’s look at each in turn. The first method of creating an online store, and possibly the easiest, is to simply create a page on your website called ‘store’ and place a few links on it to well-known online retailers that are stocking your CDs or selling downloads of your MP3s (Amazon, iTunes, 7 Digitial and so on). There are three main advantages to this approach: firstly, you don’t need to fulfil anything yourself (i.e., walk down to the post office and send stuff off to your customers); secondly, your music is chart eligible if you sell it this way; and thirdly, many people shop regularly with these companies and will be comfortable with buying your products from them. To maximise income from this approach, you should ideally obtain and use ‘affiliate links’ for your album from any online retailer that provides them. Although selling music via Amazon and iTunes is pretty easy, and has several advantages to it, you may find that selling your music direct to fan is more profitable. Instead of losing 30% or so of your sale to iTunes etc., you get to keep all the dosh. If you only have one or two products to sell, then selling them through Paypal is probably the easiest way to do this. It’s fairly straightforward to create a couple of ‘buy now’ Paypal buttons, accept payments and fulfil any items yourself. If you have lots of products to sell – i.e., a big back catalogue and a wide range of already-manufactured merchandise items – and you are fulfilling orders yourself, you may find it easier to go with a more comprehensive ‘online store solution’ – a paid-for web service that lets you manage lots of items of stock, keep track of orders / inventory, present items in an attractive way and add / remove products easily. There are lots of different solutions out there, but two stand out for me: Ecwid and Shopify. Ecwid is ideal for people who already have a website (for example, a Wordpress or Squarespace site) and want to ‘plug in’ an online store system. You set up your store on the Ecwid website, add products, upload artwork, set up pricing...and then, when you are ready to launch your store, you are given a snippet of code that you can add to the shop page of your site; once you do this, your online store and all your CDs and tacky t-shirts magically appear. You still fulfil the products yourself, but you get a professional way of displaying stock online, tracking orders, capturing data and accepting credit card payments. You can try out Ecwid for free here. If you don’t already have a website, then Shopify is possibly a good option for you, because it’s a system that doubles up as a website building tool and a sophisticated online store which lets you sell physical and digital products. There are more sophisticated / user-friendly website builders out there, but its online store functionality is amongst the best available, and with a bit of perseverance or help from somebody who knows their online onions, you can put a very nice site together with it. Shopify’s free trial is available here. The downside of using one of these solutions is that they come with monthly fees attached. So really, they are best suited for bands who are going to be selling enough items every month to justify these payments. What about selling merchandise, then? You can manufacture merchandise yourself, and sell it using one of the methods described above. Don’t manufacture any at all but use a site like Cafepress or Zazzle to design an item of merchandise virtually – with these sites, your item only gets manufactured and shipped once a customer places an order. Which option is for you really boils down to how popular your band is and how many items of merchandise you’re likely to sell. If you are only likely to sell one or two items a year, then I’d avoid manufacturing hundreds of t-shirts like the plague, but if you are huge and likely to sell thousands of t-shirts and leather thongs with your band’s logo on them, then manufacturing them yourself will lead to a much greater profit margin. This is because sites such as Cafepress and Zazzle charge a ‘base rate’ for items which is quite high, meaning you have to keep your mark-up very low to prevent your t-shirts becoming prohibitively expensive. If you are distributing your music digitally you will probably find yourself in the odd position of competing with various digital outlets for sales of your own music. For example, you may find that iTunes is beating you to the top spot in Google search results when you type your album’s title into the search box. Or that a Google advert encouraging people to buy your album on Amazon is appearing next to these results. Your band’s name and (important) album titles should be listed in your online store’s page title – for example, a title such as "David Bowie – Online Store – Albums including Hunky Dory, Ziggy Stardust and Diamond Dogs" is infinitely preferable to a very non-descript ‘Online Store’. Ensure your page has a ‘meta description’ which lists your artist name, albums, merchandise items and so on. This can be longer than the page title – for example, “David Bowie’s official online store, where you can buy all his albums and merchandise. Get the remastered editions of Hunky Dory, Ziggy Stardust and Diamond Dogs, or buy t-shirts, coffee mugs and leather thongs”. Ensure all your product descriptions are ‘keyword-rich’ – i.e., contain very accurate descriptions of those leather thongs you are selling. Where possible or applicable, use ‘meaningful URLs’ – web addresses that contain keywords. For example, if you happen to have individual pages for individual items (this will be the case if you are using Shopify), ensure that you are creating URLs such as ‘www.davidbowie.com/ziggy-stardust-album’ rather than ‘www.davidbowie.com/album1’. You can check out our article on search engine optimisation for bands for a more in-depth guide to SEO for musicians, but following the above tips will help you enormously when it comes to ensuring your online store is optimised for search. As for online advertising, it’s probably only worth spending money on Google Adwords if you know you are going to be selling significant quantities of records and want to ensure that they are bought from a particular location – your online store, basically. More useful perhaps is advertising on Facebook – using promoted posts or side adverts to put your release or store in front of your existing fans (who constitute your warmest audience of course). That’s it for me for now – hope these tips help in your ambition to sell music to your parents succeed. Regular readers of this blog will no doubt have picked up on the fact that much of the advice that has been imparted relates to digital aspects of music industry – whether that’s to do with recording, distribution, PR or marketing. And for good reason really: to misquote Madonna, we are living in a digital age, and we are all digital girls. Actually at Prescription PR you’ll find nearly all fellas, except at the weekend perhaps, but you get the drift. Anyway, slipping quickly out of drag, and back into a manly blogger’s outfit (whatever the hell that looks like that), I thought I’d devote a bit of time this week to underlining something important: that although the digital revolution has in general made the likes of CDs, tapes, minidiscs and records look very obscure, and cheap as chips, paradoxically it has also – in certain contexts - made them look very hip and a potential source of lots of moolah. I’ll explain why in a minute – and outline the potential benefits of your band ‘getting physical’ – but let’s stay in the digital domain for a moment. Cheap digital recording gear and worldwide digital distribution via the internet have led to an explosion in the number of bands producing and distributing albums. What this digital revolution hasn’t provided for these bands, however, is the kind of fanbase-generating marketing budget that would have accompanied a traditional album release. The upshot is that the industry has arguably changed from being one where there is a tiny number of bands with huge followings to one where there is a huge number of bands with tiny followings. I’m guessing that if you are reading this post, you or your band fall into the latter category, and question is how – and sorry if this sounds a little bit mercenary – to make as much money as possible from that tiny following. By tiny, I mean that perhaps a you have few hundred dedicated fans rather than a few hundred thousand. But the key word here is ‘dedicated’: if the aforementioned group are really into you, then they may be prepared to pay a premium for your music. But given how easy it is for them to listen to you for free, only if you make it really worth their while. And here’s where physical music products come in: if you can create a physical offering that is perceived as unique and of special value by your fans, you may find that instead of them paying £6.99 to download your album on iTunes, they may be prepared to pay a lot more for the same music. So, here are some simple ideas on how to get physical. Number your CDs by hand and sign them. Instead of charging £8.99 etc., charge £15.00. This is a really simple way to increase the income you generate from any stock you manufacture, and you'll always find at least some listeners prepared to pay a bit extra for a signed CD. Put together a little package comprising a bunch of funky, limited-edition items. For example, charge £25 for a package that includes a signed CD, handwritten lyrics, a poster and two signed photos. Accompany a CD sale with merchandise – bundle a CD, t-shirt and mug together for £20. Do a limited run of cassettes / mix tapes and charge £17 per signed cassette album. Do a combined vinyl/CD release and charge £30 per copy sold. A bit of a physical/digital mash-up this, but you could issue your album on a designer USB memory stick – there are a range of mad designs you can get now (rainforest-friendly USB stick anyone?). Include high-resolution versions of your tracks on the USB (WAVS rather than MP3s) and other exclusive content like videos, alternate takes and so on. These are just some examples of limited-edition physical releases – I’m sure you can use your imagination to come up with funkier examples of how to get physical. In fact, I’d be interested in hearing some more ideas; do leave a comment if you have any clever suggestions. how much it will cost you – not just in terms of money, but time too – to make your physical offering. Ultimately, if you are smart about things, do the right sums and keep costs down, you may find that oddly, in this digital era there is more to be made from an innovative physical release than a bog-standard digital one. If you have 100 fans prepared to pay £30 for a really great physical package that costs £10 to produce, that’s a profit of £2,000 (and seriously, making any money, let alone £2k from music, is getting extremely difficult these days). Conversely, if all your 100 fans bought your album on iTunes, you’d have made at most £490 (£6.99 x 100, minus Apples 30% or so cut); possibly less if a distributor or indie label is taking a cut. Indeed, a cool physical product that fans might even view as an investment may make the difference between them parting with cash at all or just hitting play on Spotify or clicking on that torrent link. Finally, there is another big advantage to funky physical releases: they make you look cool. Drop the fact that your music is out on limited-edition vinyl or a cassette casually into a conversation, and skinny-jeaned hipsters from Hackney will come out of the woodwork, start drooling and think your music is much better than it actually is. Which of course in this business is all that counts really. If internet rumours are to be believed, June 6 2011 may possibly be the music industry’s equivalent of “The Rapture” (for those of you who haven’t been on Facebook recently, or have been living in a hole in the New Forest, The Rapture was the end of the world, and was supposed to happen on May 21. It didn’t, unless you are reading this on a cloud with Jesus or you are feeling rather hot and can’t concentrate on this article because a devilish imp is poking your bottom with a pitchfork). Of course “The Rapture” turned out to be a damp squib, but June 6 is more likely to live up to its reputation as being a day on which the music industry will change forever. So what’s happening on June 6? Well, according to a multitude of newspaper articles and blog posts, it’s the date that Apple may unveil their ‘cloud service’ – a system that lets listeners stream music from the web. Now, as the cloud service in question hasn’t been unveiled yet, it’s not clear what form this is initially going to take. It could be that Apple are simply going to offer something similar to Amazon and Google’s new cloud systems, which allow you to upload and stream your music collection on the web, wherever you are. But frankly, that’s a pretty boring approach, and unlikely to be what Apple’s “cloud offer” will be. If rumours are to believed, Apple have been working hard to secure licensing agreements with the “big four” record companies – Warner Music Group, Sony Music Group, EMI Group and Universal Music Group – which means all this is heading in one direction: a streaming service similar to Spotify’s, where listeners will eventually be able to stream whatever music they like (for a fee, of course). If Apple does go down this route, it means that an en-mass switch from paid-for downloads to on-demand music streaming is now just around the corner – the rise of 3G web connections, increasing use of smartphones and Apple’s 75%-85% share of the download market would more or less guarantee that streaming becomes the de facto way that music is consumed. If Apple release a software update for iTunes containing streaming functionality, millions of iPod, iPhone and computer users in general all around the world would suddenly be able to stream music instead of paying to download files. The choice of tracks would be vast – significantly bigger than Spotify’s library, due to full music industry buy-in – and the reach of the service would be enormous too, thanks to Apple’s strong global position in both the download and mobile device markets. All this would arguably result in death of the download, and pretty quickly too. What would be the impact of this on musicians? Well, for bands who are signed to a label and getting a significant marketing push, it would be fairly good news – it makes their music even easier to access. For musicians without a budget however, it would represent more of a headache. This is because streaming removes the attractiveness of a key tool used by musicians to entice people to sign up to email updates: the free download. For several years now, indie musicians with any clue whatsoever have been giving away downloads in exchange for the ability to communicate with fans online – with individual tracks, EPs or even albums being swapped for email addresses or Facebook ‘likes’. However, there is not much of an incentive for a potential fan to grab a free download from a band if a) they don’t really download music anymore and b) the track can be streamed anyway on iTunes. The free-download-for-email-address scenario that we’ve seen over the past few years has led to a situation where clued-up independent musicians have to a certain extent been able to bypass traditional gatekeepers – labels, journalists, distributors, promoters and radio stations – and still make (often quite decent) amounts of money from music via direct-to-fan sales. Perhaps it’s a negative way of looking at things, but with downloads diminished as an incentive for joining a mailing list, indie musicians will be able to communicate directly with fewer and fewer listeners online, and power will go back to being concentrated in the hands of the traditional music industry tastemakers: a label will decide what music to promote, and spend money encouraging people to stream it (rather than buy it). In effect, a technological advancement may lead us back full circle to a situation whereby only those with budgets can create demand. But if you are an indie musician who has built a business model on free downloads, and all this does sound like the end of the world, don’t despair yet. Pretty much every technological development in the music industry has shut one door only to open another; and with all these developments, the trick is to stay ahead of the curve. The musicians who twigged that free downloads helped build databases first built the biggest databases (and sold the most music and merchandise); and it will be the musicians who twig how best to use streaming cleverly who will monetise the new landscape. The trick is to think fast. The end of the download is nigh – get ready. Go to Youtube and search for your favourite song by your favourite band. Assuming the band is fairly well known, and you’re not searching for some obscure nu-metal-shoegazing-two-tone-grime artist from Skegness, you’ll probably find an official video by that band that has had thousands, if not hundreds of thousands of views. What you’ll also find in the search results is a bunch of cover versions – by unknown artists – of that song. Or, alternatively, unofficial videos that fans have put together which combine the original band’s track and a bunch of random pictures of flowers that they scraped from Google Images. What’s interesting about those ‘alternate’ versions is that however shoddy, they will have had a huge number of plays – certainly if the band being covered is extremely well known (think Beatles, Pink Floyd, Coldplay, U2 etc.). This highlights the fact that that there is a clear demand for this kind of content. And it presents independent and lesser-known artists with a great opportunity to raise their profile; after all, people may not be searching for your groundbreaking but unheard of act on Youtube at all – but you can be sure that somebody’s looking for a Cheryl Cole song every 5 seconds. Youtube lets you piggyback on Cheryl. Or any other number of famous popstars for that matter. So, what do you need to do to have the best chance of a Youtube hit? 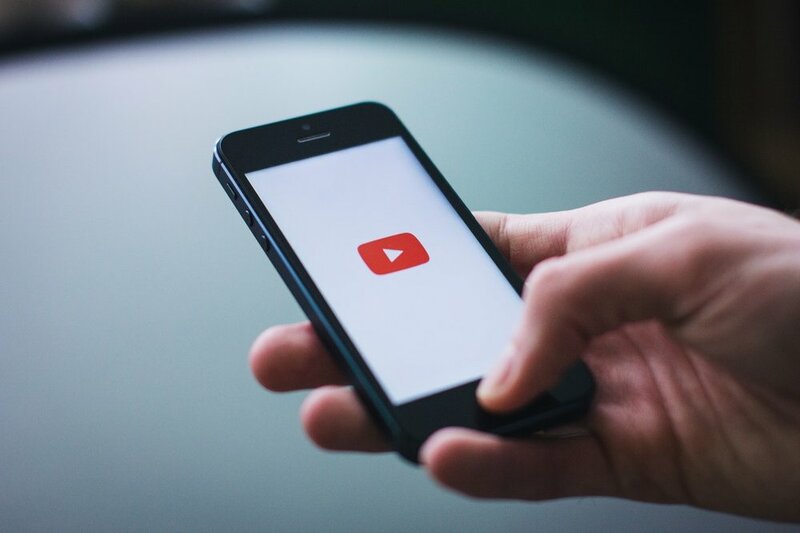 Here’s some quick tips on how to get attention with a cover on Youtube – and make the most of any attention you get. Firstly, ensure the song you’re covering is by a band that have a decent following and that people will be searching for. However, it may be worth picking a slightly less-well known track by that band – for example a B-side or an album track – as there are probably fewer covers of that song by other artists to compete with (but still a lot of demand for the track, particularly if no other cover version of the song exists on Youtube). Don’t be tempted to just slap your cover down quickly on a dictaphone – record the track you’re covering in an interesting, meaningful way that will genuinely appeal to people. You may get a lot of plays on Youtube thanks to people stumbling across your cover, but if your version of the song is rubbish then there’s little point in it being there – you’re not going to make any new fans. Again, don't just sit in a bedroom and play your song into a webcam. If you can make an interesting video to accompany the cover - something simple but with decent production values, and - the holy grail this - 'viral' potential, you're far more likely to increase the likelihood of people sharing it on social media. Ensure that you’ve got the right keywords in the song title. It’s really important to get the original’s band name and the song title in the title, or you haven’t got much hope of appearing in Youtube’s search results. If you just have the song title and your band's name, but not the original artist's, this whole covering lark is generally a pretty fruitless business. Accompany your cover version video with a prominent link to a data capture form where people watching your video can subscribe to find out more about you. This usually works best when it’s incentivised – offer a free download or other juicy content in exchange for the email address. With the web, you just never know when something’s going to take off. If you’ve recorded a great version of a track, and it’s getting a shedload of plays on Youtube, you might as well be making a few quid from it. Recording a cover version of your favorite song does not necessarily give you the right to upload that recording without permission from the owner of the underlying music, e.g. the songwriter (this statement can be found on Youtube’s Copyright Education FAQs page). So the impression we get is that the original songwriter of your cover has to object to it being up on Youtube before it will get removed. If he or she does that, you’ll probably get a ‘strike’ against your account. Multiple strikes may result in your account being deleted, so if you’re planning on uploading a truckload of covers by litigious songwriters to Youtube, you may wish to proceed with caution. The Youtube copyright information is available at http://www.youtube.com/t/copyright_center for those of you who want to peruse. Now, off you go to create your own very special Justin Bieber-style Ne-yo monstrosity.